Anne frank house Amsterdam located on the Prinsengracht canal, close to the Westerkerk. Anne franks house is the building where Anne hid with her family during one of the blackest period of the History World War II. She hid there for two years and then the hiding place got betrayed and the people were sent to concentration camps. Although the building now it converted into a museum, opened on 3 May 1960. 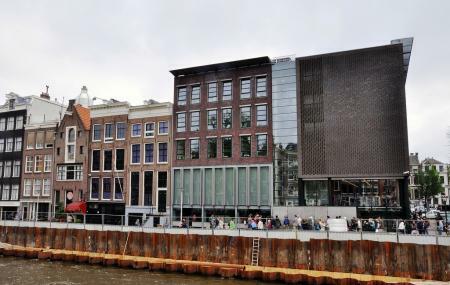 Anne frank museum is biographical museum and the 3rd most visited museum in the Netherlands. The museum it still has things like the quotation from the diary, photos and films, the original Anne frank diary, things that were used by the people during their hideout phases. There is a media room which can take you on a virtual Anne frank house tours around the house. Amsterdam For those tourists who have heard about history of Anne Frank and her world famous diary in which you can look forward to here is a lovely insight into the life of an adolescent Jewish girl who has experienced what it was like to live in the Nazi-occupied Holland. This building may hold a special kind of importance which may marvel them. Visit to the entire Anne frank museum it take min 1 hour and you will get to see old anne frank house pictures here as well. Anne Frank House is one of the attractions added in Amsterdam itinerary 3 days. Check out other attractions and activities on things to do in Amsterdam page. Anne Frank House has become a very frequented tourist attraction for visitors who come here to see the place that once served as a hiding spot of Anne Frank and her family. The place stands as a reminisce of those hard times and a great muse for historians. You can visit the place by purchasing tickets to anne frank house Amsterdam. The Anne Frank House Ticket Prices may vary for different age groups with a certain concession in the Anne frank museum amsterdam tickets for Children from 10 to 14. There is no Anne Frank House Tickets Amsterdam Costs for children under 10. Visit early to Buy Tickets for Anne Frank House as the place is known to get crowded later. 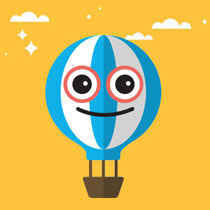 I amsterdam Card and Student card or ISIC has no discount or free entry. Anne frank house tickets online available. The last admittance is 30 minutes before closing. How popular is Anne Frank House? People normally club together Amsterdam Museum and Jordaan while planning their visit to Anne Frank House. So amazing to see this old place preserved so well from the time of the Franks. This is super popular to visit so it is a long wait. Such a moving and solemn atmosphere. I'm your visiting Amsterdam mainly for the nightlife and party scene, but a visit to the Anne Frank house in the daytime is well worth it. The museum was very informative and really helped to put the war and life of the people of this time into perspective. Reserve your tickets around 2 months in advance if your visiting. Better safe than sorry. Amazing and an awesome experience.the first few floors lack orientation to original facade but once you reach the "book shelf" it gets really real and you can truly see what these people would have experienced and endured at this time in history. A great point of fact to the tours is the intricate toilet that was used by all occupants. A very important history lesson which is even more disturbing when you visit the place. There are many contemporary testimonies which shut the mouth of each holocaust denier. After visiting the place it is now understandable why the tickets are only sold online. The demand is very high and they did a very good job to handle so many visitors. Keep up this important work! I was quite happy to get the ticket, even though I did not buy it in advance, but it is not easy, buy it in advance of two months, which is when 80% is made available. The other 20% are only available on the day from 9am on the site and it is always crowded! I got in at 9am on the site and in a matter of minutes the tickets are over. And the fact is: if you go to Amsterdam you can not miss the opportunity to visit this incredible memorial, a place of emotion, where the story is personified, being frighteningly close to our senses. The visit has schedule followed to scratch and is not allowed to take pictures of the Annex. Absolutely brilliant a must go. Incredible to see what she and her family went through during those dark years we had in Europe. Makes you truly think about your own life and what you take for granted. How do I buy tickets in advance to visit the Anne Frank House? The tickets to Anne Frank House get released two months in advance. So, you can just go to their official website and book. Which building is Anne Franks hiding place during the war? It is the building at Prinsengracht 263-267. You will have to visit the museum to see the exact place Anne Frank stayed at.